One of the hotel employees asked me “where you from? His response wasn’t “country music” despite the fact country music is very popular here. His response was “Big Orange”. God Bless you, Ray Mears. Sweet! My wife and I took our honeymoon at Sandals Regency La Toc in St. Lucia. We made dinner reservations one night at the on-site hibachi restaurant, and when they messed up our reservation time, they ended up sitting us in a room with another couple our age (we were around 27/28 at the time). Got to talking with them, and not only were they from Tennessee, but the husband ended up renting a house three houses down from where I grew up. Such a small world!! And yes, he is a Tennessee fan as well. That night was great, and we still keep in touch 10 years later. My wife and I also spent our honeymoon at Sandals La Toc in St Lucia as well. Our 10th anniversary is next Friday. 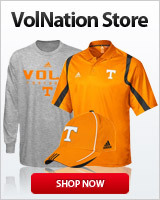 Unfortunately I don't remember meeting any Big Orange fans (must have been busy doing something else). Probably should have got out more and in less!!!LOL! I’m at Sandals Grande St Lucian. I’d recommend it to anyone. One of our best vacations in years. Sounds like he was in and out the whole time. . . must've been a secluded place. I hate everyone in this thread who’s been, is going to, or is currently in St. Lucia. I will be there May 2nd taking my wife on a 10 day Caribbean tour for our 13th anniversary. I was in DC last week repping the Vols in my jacket with power T on the heart. Had several locals comment on the Big Orange. My wife and I celebrated 25 years on April 2nd. No fun trip stories, but, she grew up a Georgia fan and now she's pure Tennessee. So, there. My wife grew up a UGA fan, her entire family went to UGA, but she went to Mercer (so she’s even a conference rival with me at UTC). How did you manage to convert her? Really enjoyed St. Lucia, but Green Turtle Cay is our "go to" island now. In keeping with being a UT board, on our last trip we rented a beautiful house named Tennessee Turquoise from a Knoxville couple. Lots of orange, and there was no doubt you were in a UT fans house. If you enjoy the islands, I can't recommend Green Turtle enough. It's a totally different experience when compared to resorts. If you are still there now, I really recommend taking an excursion through one of the locals that sell trips on the beach. Don't do the one that's through the resort! The people on the beach offer a more personal trip where you can do everything you want on one trip, and for half the price the resort would charge you. Make sure you go cliff jumping (if you are into that) where they filmed the first Pirates of the Caribbean. Awesome place man. My wife and i celebrated our 10th in Pigeon Forge at the Grand Hotel. Think it's shutdown now. Either way...lots of Tennessee fans there as well. Unfortunately we're not married anymore. Oh well. If you go to St Lucia stay on the southern side at the Anse Chastanet resort. They have open air rooms, lots of dining on resort and the beach opens up into a massive reef. the wife and i did Marigot Bay in St. Lucia for our honeymoon...great trip. loved it, would like to go back to one of the Sandals resorts one day. did Sandals Whitesands, or is it whitecastle, can't remember..... a couple years ago in Jamaica. it was very good too...loved that trip. the only TN relatable thing i've got is while in St. Lucia, we played FL. much to my chagrin, i couldn't see the game.....but i got over it. i was elated, and pissed i didn't get to see it. I'm not sure, beyond the cheesy "love" thing. However, back in the day, I made home brew. We were bottling a batch and she was handing me the bottles while I was down on one knee filling them. It occurred to me , "You ought to hang on to a gal who would help you bottle your beer! ". I was already on one knee, so, I asked her to marry me and she said yes. She loves Tennessee and our team, too. She has some black sheep auburn fans in her family, so, I guess it wasn't a vacuum.